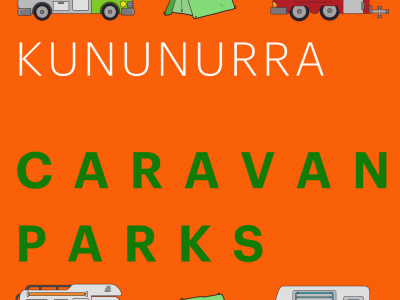 Kununurra Caravan Parks - so many options! 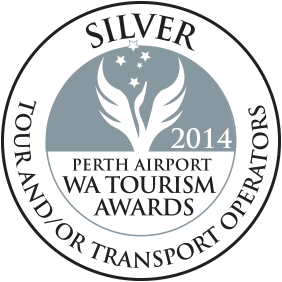 Looking for a caravan park in Kununurra? 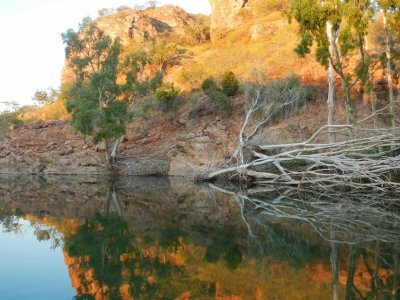 Kununurra has SEVEN caravan parks and they all have their own great features for you to enjoy during your stay in the Kimberley! Our Original Cruise at the Original Price! To use some 80s terminology … Dude! May is going to be like totally gnarly for Triple J Tours in Kununurra, Western Australia. 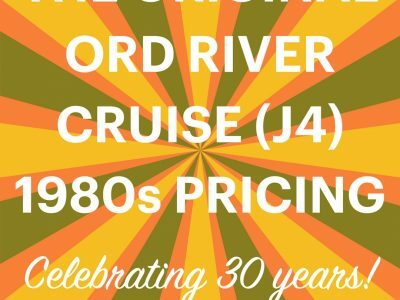 They will be having a phat time and are going to party hardy as they celebrate 30 years on the Ord River. 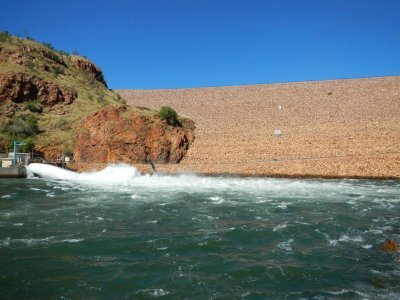 Whether you are driving, flying or getting to us any other way – Kununurra in Western Australia’s Kimberley region is north …. way north. Getting here takes time and planning and there is much to see once you are here. Reflecting on a day on the river. Who doesn't love a great reflection photo? We think most people would be a fan and certainly, most of our cruise passengers would attempt to take a reflection shot if we are having the perfect conditions on the water - after all, what's not to love about the gorgeous gorges and the watery landscapes we will take you through whilst on one of our tours? 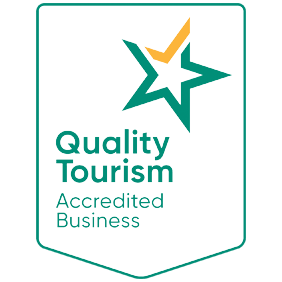 Triple J Tours are multi-award winning operators of Ord River Cruises and Durack country tours, having pioneered remote boating in the Ord River region of Western Australia in the 1980’s. 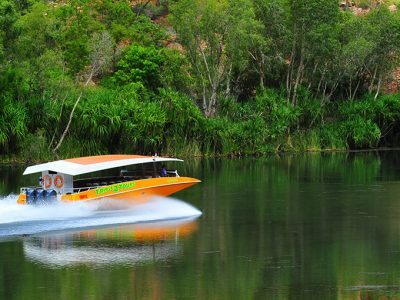 Triple J Tours and Cruises depart the picturesque outback township of Kununurra. 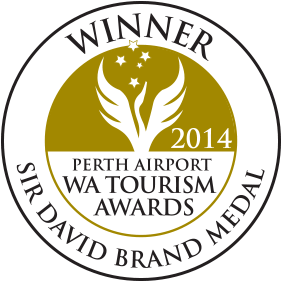 Searching for an authentic Australian experience? 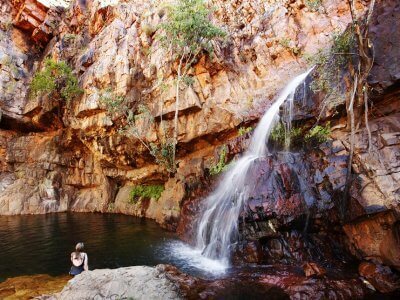 The Kimberley enjoys a glowing reputation as an authentic Australian outback wilderness. 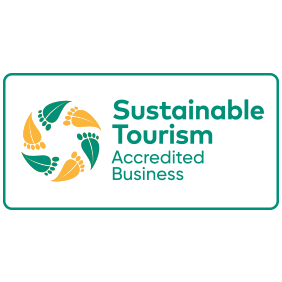 There is nothing like being here to experience the ancient untouched scenery, the abundant wildlife and remote township life of places like Kununurra. 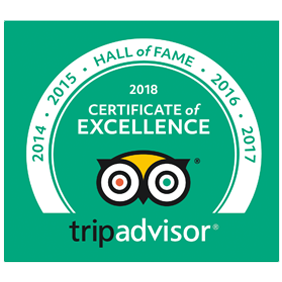 Triple J Tours is a multi-award winning company that provides the longest continuous daily river cruise in Australia, 55km on the Ord River between Kununurra and the Ord Top Dam at Lake Argyle. 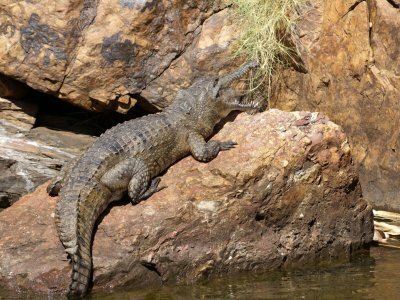 The Ord River provides one of the most stunning river systems in Australia, it is scenically beautiful and rich in wildlife and flora.